Top Rated. 5-Stars. 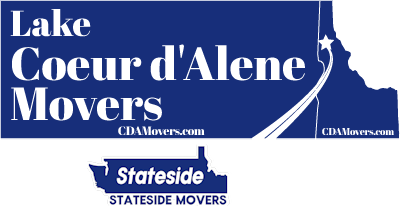 Serving Yakima with Professional Moving to or from Coeur d'Alene. Call Today. Free Quotes! Personalized, Five Star Service. Welcome to Lake Coeur d'Alene Movers. The Northwest area and Yakima, WA of the United States is a vast region with mountains, lakes, forests and even wilderness areas. Visitors and newcomers are astounded at the seemingly endless tracts of land. Moving here is usually an intentional choice to leave behind the exact opposite: traffic jams, crowded cities, and urban stress. 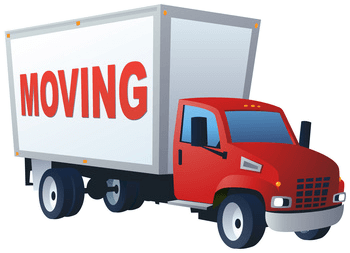 Moving to Washington is best done with an experienced, professional long distance and interstate mover. Why work with a five-star Yakima long distance and interstate mover? Moving is a regulated industry in most States. Interstate movers must be registered with the US Department of Transportation and the FMCSA Federal Motor Carriers Safety Administration. Finding a dependable long distance and interstate mover requires doing your homework. You need to ask if the company has all the necessary licenses and permits. Interstate movers must be fully registered with the USDOT. Check for good reviews. Lake Coeur d'Alene Movers / Stateside Movers LLC has a five-star rating, why settle for less. Online reviews are a new phenomenon that the internet has made available for consumers. Actual customers post their comments about a business and five stars is the highest rating. You trust your property to a company to pack and deliver it to a new destination safely and securely and on time. Working with a local company that has the right experience is the key to a successful move. Yakima located in central Washington State, in the agricultural-rich Yakima Valley. This extraordinary region has some of America's most productive farms and vineyards. It also has a historic and cultural background that locals are happy to share with visitors and newcomers. From extensive outdoor sports opportunities to a range of air-business careers, this city is drawing many to its charm, open-handed friendliness and quality of life. The Yakima Valley gets 300 days of sunshine annually. The most time and energy consuming part of a long distance or interstate move is actually packing. All those closets, drawers, storage areas, basements, attic and garage areas have to be packed, sorted and prepared to move. Estimating and purchasing boxes, tape and cushioning materials for delicate items is difficult and can be expensive if you self-move. 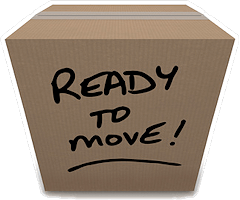 Lake Coeur d'Alene Movers / Stateside Movers LLC offers packing and unloading services to make the whole job easier. You just supervise. You may find “lost” items as well. Stateside's packing services not only save you time and energy but lets you take advantage of experienced movers who have done this many times and know their way around the job. Long distance and interstate moves are about making serious decisions. Money, time and many other factors have to be included in choosing the right mover. Lake Coeur d'Alene Movers / Stateside Movers LLC has the experience and resources to get you to Yakima.